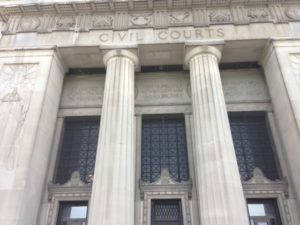 Jury selection is underway in the felony invasion of privacy trial of Governor Eric Greitens. A total of 160 people have been summoned to serve on the jury in one of the most high profile cases in the state. Groups of 40 are being brought in during the first four sessions of the selection process. 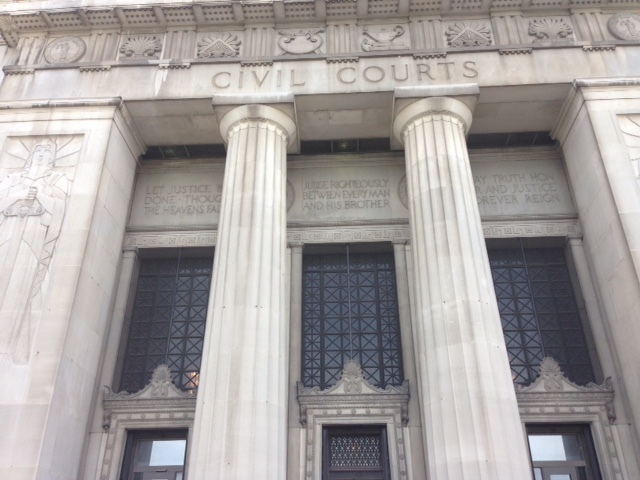 On Thursday morning the first group arrived at the Civil Courts Building in downtown St. Louis. They consisted of 23 women and 17 men, including a priest. Six of those, four women and two men were excused for what is known as hardship cases – such as medical issues, caregiving obligations for family members, and one who had travel plans. Another five were dismissed for expressing negative opinions about Greitens. The pool will eventually dwindle down to 12, along with alternates, who will decide the fate of the Governor, who is accused of taking an unauthorized photo of his former mistress during a sexual encounter before he was elected. Greitens has admitted to the affair, but denies the accusations, calling it a political witch hunt. When the Governor arrived at the courthouse, he entered through a side door in an attempt to avoid the media. He appeared relaxed and focused as he spoke with his attorneys in the courtroom. A small group of protesters from the abortion rights group NARAL also gathered outside of the courthouse during the jury selection process. Jury selection is expected to be completed on Monday. Al Watkins, the attorney for the ex-husband of Grietens’ former mistress, has released a statement asking the media not to use their names. This comes after Judge Rex Burlison ruled in favor of a request that the woman not be referred to as the “victim” and instead be called by her name. The Honorable Rex Burleson has issued an order allowing the use of the name of the victim and her ex-husband at the upcoming trial of Eric Greitens. The ruling of the judge is respected. From March 2015 until early 2018 the former husband of the Governor’s victim worked diligently and at personal expense to suppress the story associated with the fact situation which subsequently gave rise to the felony criminal charge against Mr. Greitens. As has been previously noted, this was not a private or personal mistake, but rather, one which deeply and adversely affected the victim, her former husband, their minor children, extended family, friends, and indeed all citizens of the State of Missouri. At the time of the release of the recordings in 2018, the prospect of a felony charge for invasion of privacy was not on any radar. At the time of the release of the recordings to the St. Louis Post-Dispatch, KMOV, and others, the professional journalists involved in making the decision to air and publish the story were struggling to garner the necessary corroboration of the story told on the recording made by PS of the confession of KS in March 2015. Without the corroboration, the story would not be aired or published. The story was only aired and published once and only because of the January 10, 2018 admission of Eric Greitens that he had indeed had an affair with KS. In effect, Eric Greitens provided the very corroboration needed to satisfy the professional journalists’ demand for corroboration. This corroboration occurred shortly after and on the very day the Governor’s counsel called Al Watkins to inquire about whether a statement had been made to the media. At all times since the airing and publishing of the story, the professional journalists and media outlets have refrained from disclosing the names of the victim and her former spouse, knowing that by disclosing the names they would necessarily be “outing” a victim of crime involving allegations of sexual misconduct of a grave and ugly nature. In turn, the professional journalists and media outlets recognized that by disclosing the names of K.S. and P.S they would effectively be placing a number of minor children of K.S. and P.S. in harm’s way. Every criminally accused defendant, including and especially Eric Greitens, is entitled to mount a vigorous defense, confront his accuser, and fight the criminal charge they are facing. In short, regardless of the heinous and offensive nature of the allegations, a defendant has rights. Those rights are to be respected. While it is a pity of the highest order that some criminally accused defendants seek to defend themselves by re-victimizing the victims, and while the concept of the introspection and the meritorious objective of the #metoo movement appears to have been lost on some criminally accused defendants, this is the right of a defendant. Over the ages, a woman’s word has often proved not to be enough. It is respectfully requested of all members of the media that the names of K.S. and P.S. not be used in published and aired pieces even though the names of K.S. and P.S. will be disclosed during the trial of Eric Greitens. It is respectfully requested that all keep in mind that this tragic tale has decimated a victim, her former spouse, their marriage, and their worlds. At the same time, one is compelled to respect the rights of any criminally accused defendant facing the horrific allegations involved in this case, one is also compelled to acknowledge the strength and braveness employed by the victim to share with the world the sad details and nuances of her personal life. Her strength cannot be underestimated. Her fortitude is worthy of support. Her words are worthy of being accepted as nothing but the truth. The minor children of K.S. and P.S. deserve nothing less. At some time in the history of our civilized world, the words of a female victimized at the hands of a man of influence, power and wealth must be believed. It is suggested that now is the time.